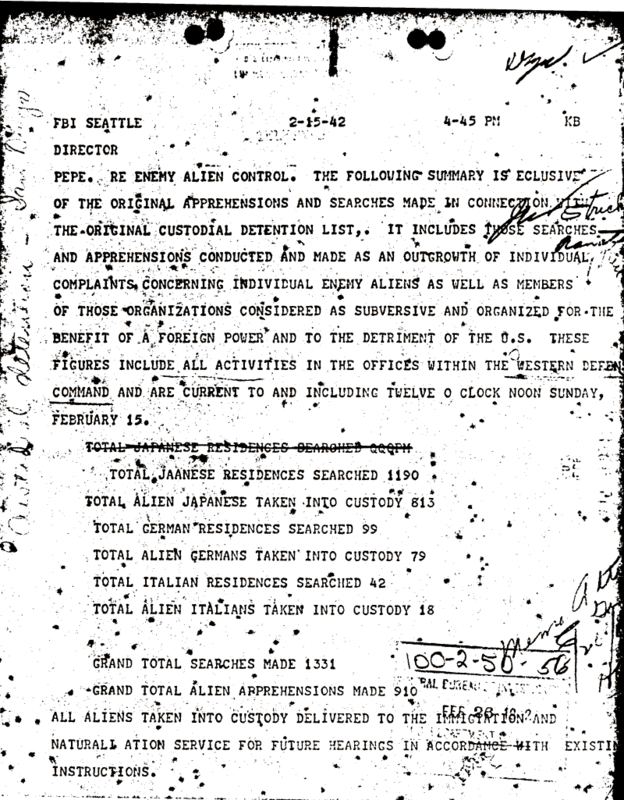 Document Notes: Telex from Gurnea to Director summarizing operations in Seattle and other West Coast cities. Note contraband discovered. Presidential Proclamation 2525 prohibited possession of these materials.